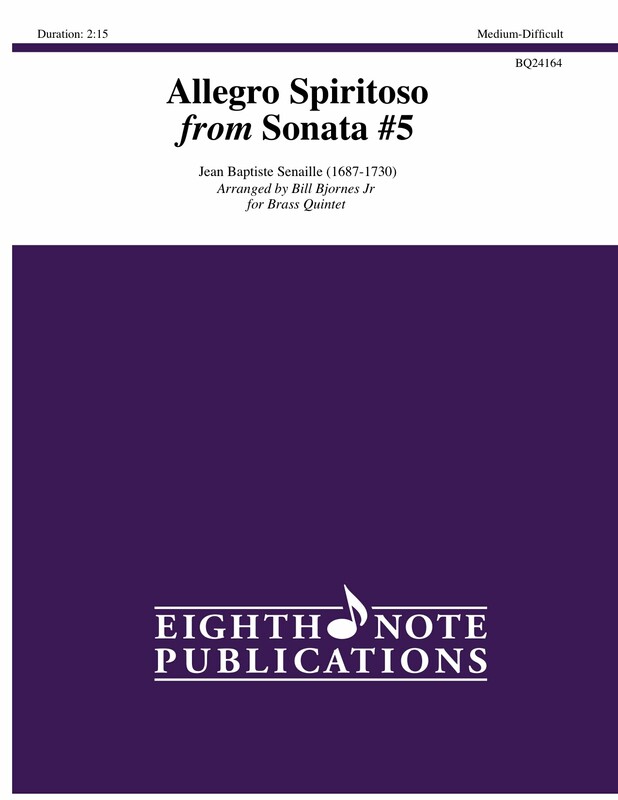 The Allegro Spiritoso is a movement taken from Jean-Baptiste Senailles Sonata No. 5 in D minor, which was originally written as a solo for violin. This particular work by Senaille regained popularity when it was recorded as a piccolo trumpet solo by Maurice Andre. This arrangement is in A minor and features the euphonium or trombone in a brass quintet setting.